Vodafone Group plc /ˈvoʊdəfoʊn/ is a British multinational telecommunications company, with headquarters in London. Among mobile operator groups globally, Vodafone ranked fifth by revenue and second (behind China Mobile) in the number of connections (435.9 million) as of 2014. 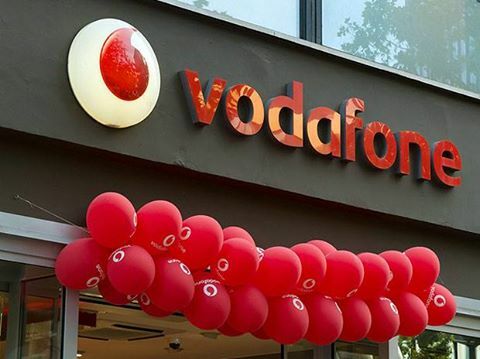 Vodafone owns and operates networks in 26 countries and has partner networks in over 50 additional countries.Its Vodafone Global Enterprise division provides telecommunications and IT services to corporate clients in 150 countries. Vodafone has a primary listing on the London Stock Exchange and is a constituent of the FTSE 100 Index. It had a market capitalisation of approximately £89.1 billion as of 6 July 2012, the third-largest of any company listed on the London Stock Exchange.It has a secondary listing on NASDAQ.